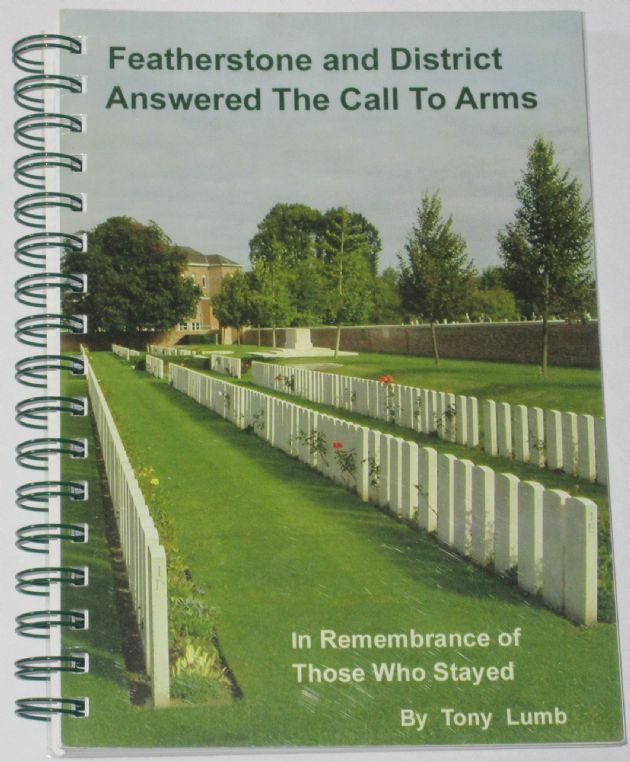 From the introduction: If I use the words 'Men of Featherstone' I am, of course, referring to all of the men in this book from Streethouse, Snydale, Loscoe, Aketon and Purston as well. Where possible I have specified their origins. Since I first published this research in 2004, almost inevitably more information has come to light making some parts out of date.This 2009 edition will rectify some of these anomalies. More importantly some more men who made the supreme sacrifice have been found, mostly from Loscoe, our lost village. In view of the fact that Featherstone has been promised a new War Memorial complete with names, it would bordering on criminal not to have these names recorded. For those who have read previous editions of the book it should be noted that my latest figure for WW1 soldiers is now 352, the figure I first saw in the report of the opening of the present Memorial in 1924. If that number was accurate I should have all the names. Sadly several names are not recorded in official lists but only in the local press. If a Memorial service is reported for a man I think I must consider him one of the fallen and record his name. This new edition is in a different format from previous ones in that I have recorded the names in the date order in which they died. It should be realised that it would often be days or sometimes weeks before the family was informed officially and I only use the official date of death to try to show how the people of Featherstone anaged to cope with the continual heartbreaking news. The condition of the book is generally very good. The cover has one or two very minor scuffs, but the spiral binding is intact and all pages are clean, intact, unblemished and tightly bound.